The article Keeping it Real: Reality and Representation in Maasai Hip-Hop by Katrina Daly Thompson published in the Journal of African Cultural Studies analyzes the style, message and success of a Maasai-themed Tanzanian hip-hop group X Plastaz. The Maasai are a tribe of semi-nomadic people who live in Kenya and Northern Tanzania. They are known around the world for their distinct culture and residence in and around national parks in Kenya and Tanzania. With a member of the Maasai tribe as part of the singing group and the use of Maasai language, costumes and chanting in their performances, the group X Plastaz can be viewed as an example of how hip-hop which has origins in the West has been localized and is an integral part of Tanzanian culture. The writer tells how the group was very popular in Tanzania when they used Swahili in their raps and sounded “…like the Tanzanian version of the Brooklyn rap crews they had been listening to.” When they changed their style, the group became very popular internationally while their success locally declined. Their decline in popularity at home, according to the writer, is attributed to the group’s refusal to pay bribe to get their songs on the air and Tanzanians’ attitude towards the Maasai. 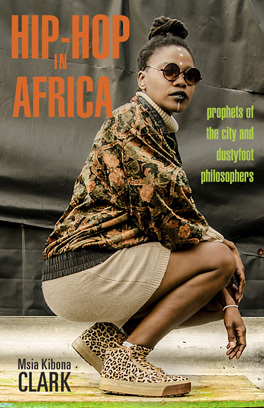 Their international success can be attributed to “…their use of traditionalism to appeal to the touristic desire of Western audiences.” The author also writes how by their unique style and message the group X Plastaz claims it is “keeping it real”. CSULA students can access the article by clicking the link below and signing in with their NIS account.